Promotional business products can really take a bite out of your budget, and they often are tossed aside like junk. So, what kind of promotional items will actually get noticed without breaking the bank? Although tote bags and T-shirts might seem like practical items, they can get expensive very quickly, and many of the people to whom you give these items may never use them. 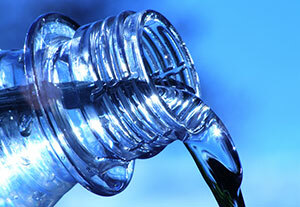 That’s why the best answer for your needs might be something as simple as bottled water. Bottles of delicious drinking water are useful to everyone, and when you attach elegantly designed, custom labels to them, they can become an outstanding promotional product. If you think water bottles may be the solution for your needs, turn to Piedmont Springs. We provide customized water bottles for businesses and other organizations in Atlanta, Orlando, Birmingham, and Charleston, and we are confident that we can meet your unique preferences. Strong – Our custom label water bottles use thicker plastic than average water bottles, so they can hold up without being dented or crushed. Aesthetically pleasing – Our team of experienced designers can work with you to create the most attractive and appropriate custom water bottle label for your needs. After all, an eye-catching label is more likely to be noticed and read. Portable – Because recipients can take these products with them on the go, your message will likely spread to others around them. To receive more information and request a quote on our promotional business products, contact Piedmont Springs today. We proudly serve organizations in Charleston, Atlanta, Birmingham, Orlando, and beyond.